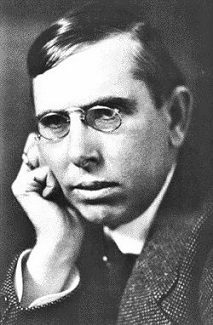 Most of the photographs of persons posted here are from the University of Pennsylvania’s Theodore Dreiser Papers through the university’s Dreiser Web Source (Rare Book and Manuscript Library Collections) and are used with the permission of the Rare Book and Manuscript Library, University of Pennsylvania. The unique photograph of Dreiser’s niece Gertrude Amelia Hopkins (1894-1973) was given to Roger W. Smith by Mrs. Gloria Vevante, the granddaughter of Dreiser’s sister Emma Dreiser Nelson (Gertude’s mother). In most cases, the photos have been cropped and dust and spots have been corrected to provide images as close as possible to the original photograph. However, these reproductions are not the originals, which are available only through the University of Pennsylvania Dreiser Web Source (Rare Book and Manuscript Library Collections). This entry was posted in miscellaneous, plagiarism, Sister Carrie and tagged "Curious Shifts of the Poor", シオドア・ドライサー, シオドア・ドライザー, シオドー・ドライサー, シオドー・ドライザー, セオドア・ドライサー, セオドア・ドライザー, Frederick Rotzler, теодор драйзер, Roger Smith, Roger W. Smith, Theodore Dreiser, Theodore Dreiser Sister Carrie, Thomas P. Riggio on May 18, 2018 by Roger W. Smith. This entry was posted in photographs and tagged シオドア・ドライサー, シオドア・ドライザー, シオドー・ドライサー, シオドー・ドライザー, セオドア・ドライサー, セオドア・ドライザー, теодор драйзер, Theodore Dreiser on December 19, 2016 by Roger W. Smith. This entry was posted in An American Tragedy, Gillette case and tagged シオドア・ドライサー, シオドア・ドライザー, シオドー・ドライサー, シオドー・ドライザー, セオドア・ドライサー, セオドア・ドライザー, Chester Gillette, Grace Brown, теодор драйзер, Theodore Dreiser, Theodore Dreiser An American Tragedy on May 1, 2016 by Roger W. Smith. This entry was posted in Dreiser's lovers and mistresses, obituaries and tagged シオドア・ドライサー, シオドア・ドライザー, シオドー・ドライサー, シオドー・ドライザー, セオドア・ドライサー, セオドア・ドライザー, теодор драйзер, Theodore Dreiser, Yvette Eastman, Yvette Szekely, Yvette Szekely Eastman on March 4, 2016 by Roger W. Smith. This entry was posted in links to other sites and tagged シオドア・ドライサー, シオドア・ドライザー, シオドー・ドライサー, シオドー・ドライザー, セオドア・ドライサー, セオドア・ドライザー, теодор драйзер, Theodore Dreiser on February 23, 2016 by Roger W. Smith.